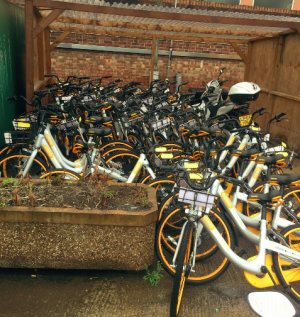 The company that’s flooded London with a rash of yellow rental bikes without any warning might be scratching their heads and asking themselves why so many have vanished from the streets of Wandsworth. The answer is that dozens have been impounded by the council for cluttering pavements and causing obstructions. Since they first started appearing last month, the council has confiscated 130 of the yellow oBIKES for blocking pavements.